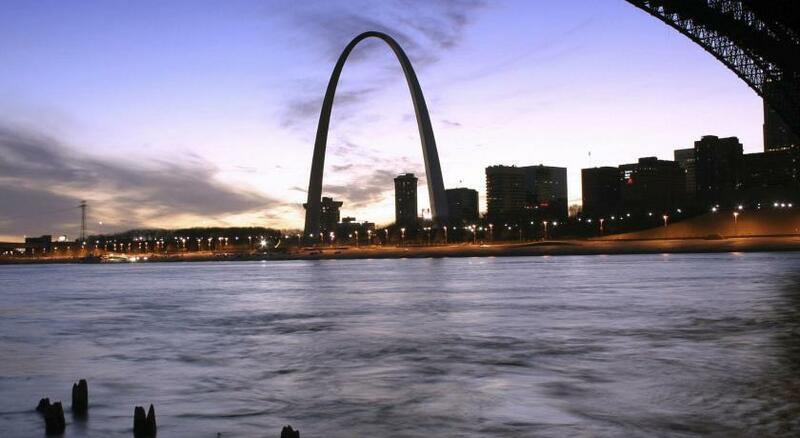 Lock in a great price for Drury Plaza St. Louis at the Arch – rated 9.2 by recent guests! Loved the location! Walking distance to the arch and great restaurants. There's a full free Midwestern dinner buffet and excellent food at the restaurants on site. The staff was exceptional. The complimentary dinner, drinks, and breakfast! Made it very simple to decide where to eat for dinner and not deal with the hassle of eating out. My boys loved the indoor pool, it was a bonus finding out they could swim, excellent way to stay local for spring break. It was close to everything down town and we had an excellent time. Everything was Great. Great for kids! Awesome for parents! How about free breakfast,free dinner,free drinks! It's TRUE we had all that. We always enjoyed the small pool and 2 hot tubs. Super close to the St Louis Arch,and many fine Restaurants. Breakfast was sufficient but only slightly warm. The variety was very good. Great location! Didn’t have to use the car till we went to the zoo. Friendly staff. Granddaughters loved the pool. Adults loved the happy hour! Very nice hotel. Clean and comfortable. The staff was very polite. Drury Plaza St. Louis at the Arch This rating is a reflection of how the property compares to the industry standard when it comes to price, facilities and services available. It's based on a self-evaluation by the property. Use this rating to help choose your stay! One of our best sellers in Saint Louis! 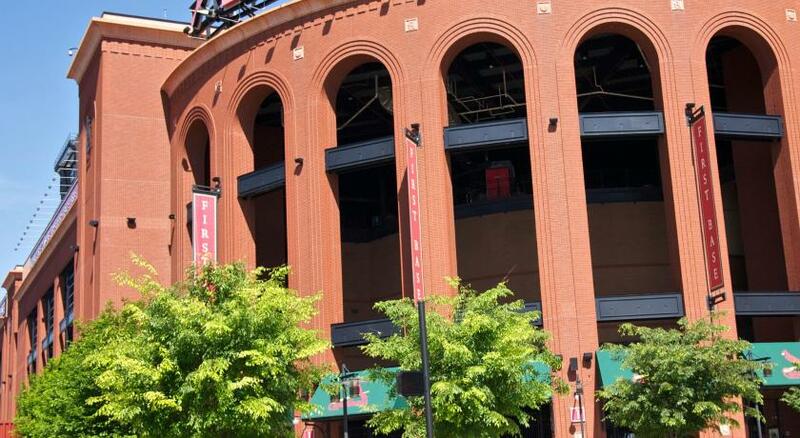 Less than a 5-minute walk from the Gateway Arch and Busch Stadium, this hotel is in the heart of downtown Saint Louis. A free hot breakfast is served each morning. 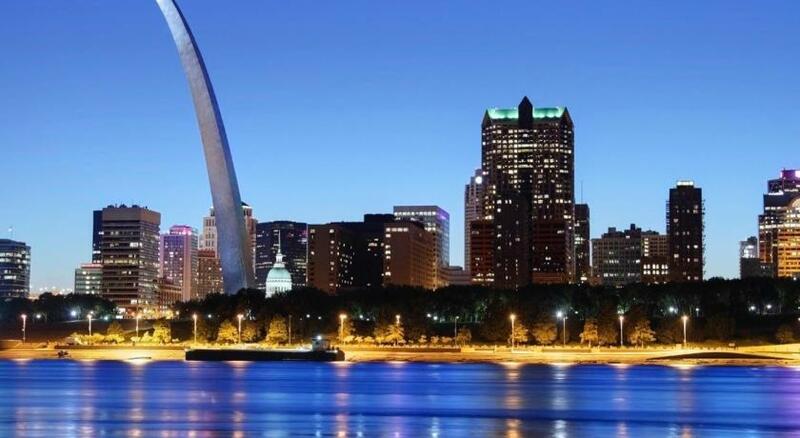 A 37-inch flat-screen TV and free Wi-Fi are featured in every guest room at Drury Plaza St. Louis at the Arch. A microwave and a refrigerator are also provided in all rooms. Guests can enjoy a swim in the indoor pool or relax in the hot tub at Saint Louis Arch Drury Plaza. A fitness center and a laundromat are also featured on site. A same-day dry cleaning service is available to all guests. The Anheuser-Busch Brewery and Saint Louis University are within 3 miles of this hotel. The Saint Louis Amtrak Station, Scottrade Center and Kiener Plaza are within a 12-minute walk of the property. Downtown St. Louis is a great choice for travelers interested in sports, monuments and sightseeing. This is our guests' favorite part of Saint Louis, according to independent reviews. This property also has one of the top-rated locations in Saint Louis! Guests are happier about it compared to other properties in the area. This property is also rated for the best value in Saint Louis! Guests are getting more for their money when compared to other properties in this city. When would you like to stay at Drury Plaza St. Louis at the Arch? With free Wi-Fi and a 37-inch flat-screen cable TV, this room has tea and coffee-making facilities, a refrigerator and a microwave. Offering a 37-inch flat-screen TV with cable channels and free WiFi, this spacious suite includes a separate living area with a microwave and a refrigerator. Featuring a view of the Arch, this room also has a microwave, fridge, and work desk. Featuring free Wi-Fi and a 37-inch flat-screen cable TV, this suite includes tea and coffee-making facilities, a refrigerator and a microwave. A sofa bed is also provided. This suite features a cable TV, seating area and sofa. This quadruple room has air conditioning, microwave and private entrance. This quadruple room has a cable TV, microwave and air conditioning. This suite features a microwave, sofa and air conditioning. This double room features a microwave, cable TV and air conditioning. Hotel surroundings – This neighborhood is a great choice for travelers interested in sports, monuments and sightseeing – Check location Excellent location – show map Guests loved walking around the neighborhood! House Rules Drury Plaza St. Louis at the Arch takes special requests – add in the next step! Drury Plaza St. Louis at the Arch accepts these cards and reserves the right to temporarily hold an amount prior to arrival. Please note that checks are not accepted. Rooms with pets will be charged a daily cleaning fee. Please note a maximum of 2 pets are permitted. Contact the property for details. Staff was nice. Loved the drinks and happy hour. Despite asking at reception five times and being assured that someone was on their way and that it would be done, our room was not serviced, or cleaned. A popular feature of the hotel, particularly with families, is up to three free drinks and food in the early evening. The quality of the drinks, however, was so poor that we could not drink them. The location provided a view of the arch, parking in the building was convenient and, although the building is quite old, the condition is generally good. Common area for food was a little messy. Lots of great extras like happy hour and late night snacks! Pleasant surprise. I tend to clean our hotel room and make sure I didn’t leave anything behind, I found a sock and hair tie from previous guests. Not a big deal. Also I didn’t like how the trash cans didn’t have liners. Parking was tight and there was no parking outside the parking garage that we saw. You should probably warn people if they are driving a full size SUV or Truck.